The most general answer to this question, to the most general non-specific reader, would be, either “it depends” or “the longer, the better“, both of them frustratingly vague and unenlightening. Let’s talk about some factors which may come into play when considering how long to study for the GMAT. 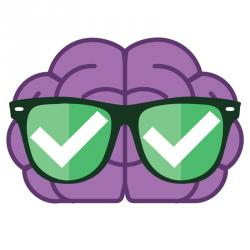 1) The first consideration to answer how long you should study for the GMAT is simply: how good are you at the whole standardized-test thing in general? Some people regularly ace standardized tests. Others regularly flub them. This is an estimation—at a gut-level, how comfortable are you, and how successful have you been, with the whole standardized-test thing? 2) How many days you should study depends in part on how many hours a day you can study. Let’s say that 1 hour a day for six months would be very approximately equivalent to six hours a day for one month. The caveat, of course, is most people have real limits concerning how much they can focus. Many also have limitations on how much info they can absorb and assimilate in a single day. Can you put in six hours a day of quality, high-focus study time, day after day, for a month? If so, that’s fantastic. However for most people—not only because of the practical constraints of job and family, but also because of the cognitive constraints on focus and assimilation—the best option would be less-time-per-day over a longer number days studying for the GMAT. 3) Let’s say you have taken a practice test, relatively cold, with little prep, and got some score. We’ll call this a baseline score. What is your target score? How much do you want to improve from this cold-take baseline? Let’s say, with moderate prep, you could improve 50 points over a relatively cold-take. That’s readily do-able. Improving 100 points—that’s more of a challenge. Improving 150 or 200 points or more—that will take exceptionally diligent work. You’ll need to sustain this GMAT study plan over quite some time, and even then, an improvement of this magnitude is not guaranteed. 4) What are your relative strengths? Consider the two big categories—math and verbal. On a 1-10 scale, how would you rank your relative aptitudes in each? This may play into extra time over and above the time you spend studying specifically for the GMAT. I would say a three month study plan, with 1-2 hours of GMAT study time per weekday and a single 3-4 hour stint on each weekend—that I would call moderate study, probably enough to produce for most people a 50-100 point increase over a relatively cold-take score. Again, this assumes eight hours of sleep a night, a healthy lifestyle, and a normal college-graduate level of learning and remembering. If you want to improve substantially more than 50-100 points, I would suggest extending your GMAT study time for longer time than three months. In general, the more you can spread your study out over a long period—say, six months—the more time you will have to return a second and even a third time to each topic. This will take advantage of how the brain learns and processes. Repeated exposure helps to encode material into long-term memory. If, for whatever combination of reasons, you have only a month to prepare for the GMAT, understand that’s not ideal. It will demand both longer stints each day as well as the sustained focus and commitment, in order to get the most out of it. You’re thinking strictly in terms of how many hours to study for the GMAT — not months. For just that one month, be ready to hunker down and work intensely. If you are planning to take considerably less than a month to prepare for the GMAT—either you are unusually gifted, or you don’t really take the test seriously. How long you study for the GMAT is, to some extent, a statement about how seriously you take the GMAT. 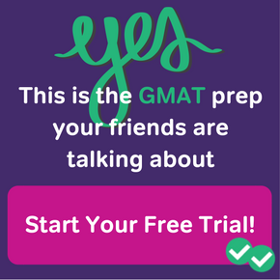 If you take the GMAT seriously, then put in the study time to prepare for it. If you don’t take it seriously, then why are you taking it at all? This is your life: it’s not a game, not a stage rehearsal for anything else. Time is precious. Why would you waste significant time and energy and focus and determination on something you don’t take seriously? It’s absolutely necessary to have time doing things that are enjoyable and un-serious in order to refresh and recharge, but why take on something difficult and demanding if you don’t take it seriously? Whoever you are, your time is worth more than that! That’s my 2¢. This concerns consideration #4 above. If you would rate either of the categories three or below, that’s a red flag. That’s an indication you need extra GMAT study time and thus an extra head start. This is a big curveball in the how-long-do-I-study-for-the-GMAT question! If you are a math whiz but weak in verbal, and most especially if English is not your first language, then yes, pursue a moderate study schedule, say, a three-month study schedule for folks stronger in math, and in addition to that, READ! Read at least an hour a day—two hours a day would be better. Reading the high-brow material recommended at that blog will accustom your ear to advanced grammatical constructions typical of GMAT Sentence Correction, and will help you practice the analysis skills you will need on both GMAT Critical Reasoning and GMAT Reading Comprehension. Ideally, you will begin this daily reading habit well before the rest of your GMAT studying—a year or more. Where will you get the time to do all this reading? Well, if you sharply reduce TV, video games, and other forms of electronic entertainment, you actually will be doing your brain a favor. If you are relatively comfortable in verbal, and you haven’t even looked at math since an unfriendly farewell a few years back, then you need to study math, starting pretty much as soon as you finish reading this post. You don’t get a calculator on the GMAT Quant section, so practice mental math—every day, you should add & subtract & multiply & divide in your head. Get remedial books published for high school students, “Algebra Review”, “Geometry Review”, and start reading. Look for every possible application of math in your life. Think areas of rooms, grocery bills, gas mileage, and the like. Do the real world math. Ideally, all this focus on math should begin months before you embark on, say, a three-month study schedule for folks stronger in verbal. In both cases, this extra focus you give one area or the other should be considered over and above how long you study for the GMAT. These are the extra hours you need to study for the GMAT. 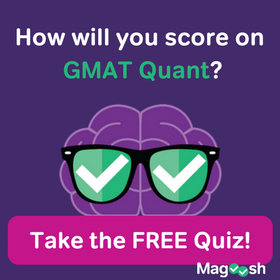 So how long should people study for the GMAT, on average? Studying for the GMAT takes a lot of time, regardless of your skill level. Average GMAT students can expect to spend 100-170 hours studying, over the course of 2-3 months. The very top scorers on the GMAT often spend more than 170 hours, with study plans lasting up to 6 months. Keep this in mind when considering how many hours to study for the GMAT. 20 Responses to How Long Should I Study for the GMAT? Now again I decided to study and I have 2 months. My math is not bad and I think I can improve from 46. but I don’t know why I can’t improve the verbal, no matter what I do. I got 118 in TOEFL, which is a great score and I thought I will do well in Verbal but I don’t. I really don’t know what to do anymore with the verbal. I finished your course egmat and empowergmat…. I work full-time and I have a toddler which makes everything hard, still I try and don’t understand what is happening here. and I really don’t know what should be my next step or what can I do differently. Figuring out your best GMAT Prep plan when you have other adult responsibilities can be a real challenge. And GMAT Verbal can certainly be tricky if yo’re a non-native English speaker. As you’re learning, what works on English proficiency exams like the TOEFL and IELTS may not work quite so well on GMAT Verbal. I am starting to prepare for my GMAT preparation. I am rusty in both Quants and Verbal. My verbal is poor I think. I need to improve my verbal score drastically. Kindly let me know the time frame for preparation for scoring above 720. I will sctrictly stick with the schedule for the preparation. But provide a detailed plan to study for the exam. I am a Indian male working in IT industry(IBM) for the last 5 years. As Mike mentioned, your GMAT timeline depends on many different factors– how many hours per day or week you hae for study, your exact baseline score, you exact stregnths and weaknesses, etc…. Without an in-depth look at htose things, it’s hard to say precisely what your timneline would be. However, if you carefully follow the adviceint hsi article, you should be able to come up with your own timeline. You may also want to examine Magoosh’s GMAT study plans and see if one of them fits you, or could meet your needs with a few modifications. Our study schedules require Magoosh GMAT Premium. With a premium subscription, you can also get email support form our experts, who can help you craft the perfect study schedule to help you boost those Quant and Verbal skills. I took the GRE last week after studying for 3 months and the results were horrible! V 141, Q 150. Now I’m considering taking GMAT (applying for PhD. Marketing), I have 6-8 weeks from now and I can study for 40 hours weekly. So you think is that even possible to get above 650 in this limited time? First of all, I’m sorry to hear that you didn’t reach your target score on the GRE! I know it’s frustrating to study and not reach your target score! Before you make any decisions, make sure to consult your target schools and make sure that they accept either the GMAT or the GRE 🙂 You should also be aware that there are important differences between the GRE and GMAT–you can read about them here. The GMAT math section covers basically the same material as that of the GRE, but tends to be more difficult. The GMAT verbal sections has some important differences: while the reading comprehension and critical reasoning/paragraph argument questions are the same (though you will see more critical reasoning questions on the GMAT than the GRE), the GMAT verbal section has sentence correction, which requires strong grammatical skills. 6-8 weeks is a good amount of time to study, but you should be aware that you will have to ‘start from scratch’ on some aspects of the GMAT, and that it may be harder to improve on the math section. Right now, your GRE scores amount to approximately a 480 on the GMAT. It will take a lot of hard work to increase from a 480 to a 650–while it is possible to increase by almost 200 points in 6-8 weeks, we don’t see increases of that magnitude very often. I’m sorry the book you sent your sister didn’t work out! 🙁 Fortunately, there are many other GMAT books and resources out there to choose from. 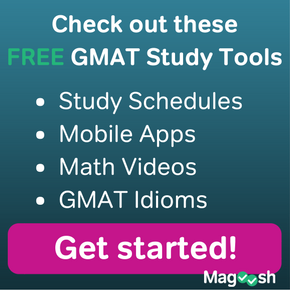 I recommend that you and your sister carefully look through Magoosh’s list of the best GMAT books and resources. I’m planning to subscribe to the Magoosh Premium and follow the 6 month study plan. However, I’d like to know where I stand right now. What diagnostic or practice test would you suggest I take to assess myself before the preparation? I have not written competitive exams in a long time. The last was CAT in 2005. For some reason, I had to shelve my MBA aspirations and been working in the IT Industry for 11 years. But, now the circumstances are a little more favorable. So, I took a Mock Manhattan CAT with no preparation and scored 600 (Q45 V28). Honestly, I was not feeling comfortable even while doing the Quant (my stronger suite always).But the final score has given me some confidence. I am planning to take up the test somewhere around end of August. I am also planning to get the Magoosh’s premium course. Considering, I have just over 2 months to prepare, what would be the best strategy? I am thinking that I might have to crunch the 12 week beginners study schedule into 10. Or should I go for the Advanced study schedule? Great questions, Deepak. Where time is concerned, both our 12 week Advanced Study Schedule and out 12 week beginner study schedule take the same amount of time. Either way, you’re looking at a range of between 14 and 20 hours of study time per week, if you do it in 12 weeks. This comes out to between 21 and 30 hours of study a week if you crunch the schedule into a 2 month (8 week) period. If you have a lot of spare time during the week, and few other responsibilities besides GMAT prep, this could work. This means I should be just focusing on VA rather than doing Quant ? Wow, that’s quite a split. Assuming you’re at the target score you need for Quant (based on the score requirements of your school), you should definitely shift most of your focus to Verbal. But I still recommend doing at least some light Quant practice here and there. It’s good to stay in practice so that every aspect of the exam is fresh in your mind and no GMAT skill is forgotten on test day. 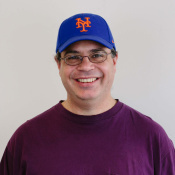 Ola Mike… first of all accept my condolences on short but great article. Many newbie aspirants, like me, around the world, takes the mind game of ‘number of hours preparation’ way to seriously without actually understanding WHY and HOW it really matters. Your blog puts right foot forward on demystifying exactly the same concern. This point ,at least for most of us, is one of the foremost crucial factor as it internally determines how well one is prepared on the D-day. Better the level of optimal concentration on this ‘repeated exposure’ on any topic is, lesser the number of hours required to invest on the same. B-school has been a faint interest I’ve played with the idea for the course of the last few months. Decided to google a bit of studying habits today and I’m happy I came across this blog. I don’t typically leave messages like this, but wanted to say thanks for putting this together – it’s not very common that you run into a response similar to your’s when reading things online :). Quite refreshing. Just thought I would drop a note. It’s something I’ll think of pursuing more seriously over the next few months and the GMAT will be the first of a few hurdles, I’m sure. There is no two about the length of time required to prepare for the GMAT. To get a high score of 700 points and above, the intending test taker will have to go extra mile and do extra work. It takes only diligent students to hit the 700 points. A lot of personal sacrifice will also have to go into the whole preparation and study. The prospective test taker should also consider if he or she will require some tutoring from an expert. In conclusion, I will advise the test to spend quality time in preparation for the GMAT! No pain, no gain! Quite true. I guess the only thing I would say about “no pain, no gain” is that — just because it will be hard work doesn’t necessarily mean it would be unenjoyable. The skills needed for the GMAT are ultimately the skills needed in the business world, and I would hope every GMAT taker has some relish for the world she or he is entering.